In 1993 Academy Award -winning director Steven Spielberg introduced audiences everywhere to Jurassic Park, which instantly became a worldwide phenomenon that is still regarded as one of the greatest blockbuster films of all time. 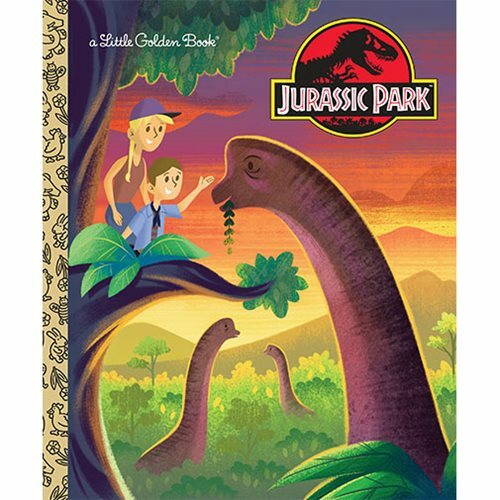 Now, the movie's youngest fans and dinosaur enthusiasts can relive the movie in this fun, action-packed—and age-appropriate—Little Golden Book adaptation of Jurassic Park! The Jurassic Park Little Golden Book has 24 pages. Measures about 8-inches tall x 6 3/5-inches wide.